Educational winter safety programs can be useful when teaching children of all ages about household and outdoor safety. Teachers can create their own curriculum or use one that has been written for them. Each year, hundreds of children are injured in winter-related activities. 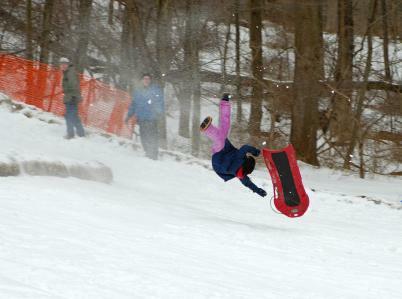 According to University of Michigan Medicine, head trauma is a common winter injury, usually resulting from sledding. Other winter injuries closely follow with snowmobile-related injuries, skiing and snowboarding. Teachers at school can help to educate children about winter injuries with educational winter safety programs. Teachers at each grade level can design course work that focuses on safety while being fun. Use crossword puzzles, coloring pages and short essays to teach children about winter safety. Educators who have been teaching safety classes for many years may find it easy to write their own course work for their students. New teachers may not have covered as much material and will find it helpful to use a pre-written safety curriculum for their students. Luckily, there are many places to find safety information on the Internet, designed especially for teachers, no matter which age group they are teaching. EdHelper - offers a variety of educational materials and printables on many safety issues such as snow blower safety and fireplace safety. Kids Health - research information on educational winter safety programs including sledding safety. The Electric Safety Foundation - lesson plans for teaching about the dangers of winter and how to stay safe. Kids Safety Fair- ideas for teaching children of all ages about safety. Teaching children at their age level is one of the most important things any instructor can do, especially when it comes to small children. Create or download teaching materials that are designed for a particular age group. This will help to keep each child's attention focused on the important safety tips you are teaching. Use discussion points whenever possible and be sure to ask questions of the children about the points you have covered. Share stories when appropriate as real life experiences often have a big impact, especially with tweens and teens. Educational winter safety programs can help children avoid injuries during the winter months, which as any parent will tell you is a blessing.